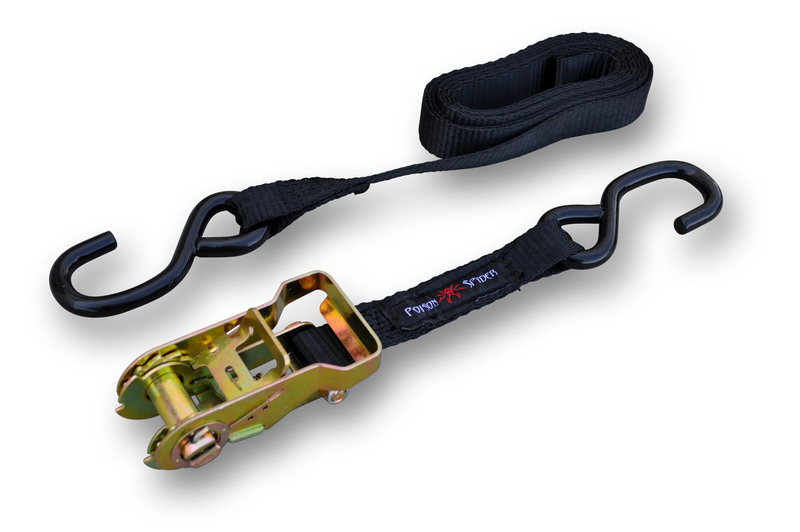 Poison Spyder Medium Duty Ratchet Strap. It only says Medium Duty to deNote that its Not quite what you would use to strap your Jeep down onto the trailer. But for tying gear down in the back of your Jeep, this thing is actually Heavy Duty! Features a beefy, more trouble-free ratcheting mechanism compared to our previous version (Light Duty), with heavier duty nylon webbing. 12 ft. long with an embroidered Poison Spyder tag.